Blank. Without form. Void. Oh, the absolute possibilities this conjures up! 14/20 Rose Gold Filled 16mm 24 gauge Round Blank with a .9mm hole. 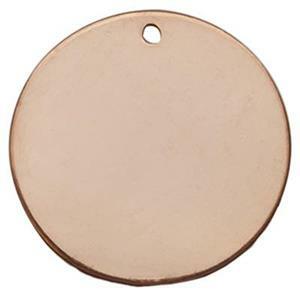 Conjure up your own magic jewelry designs on these little rosy blanks.